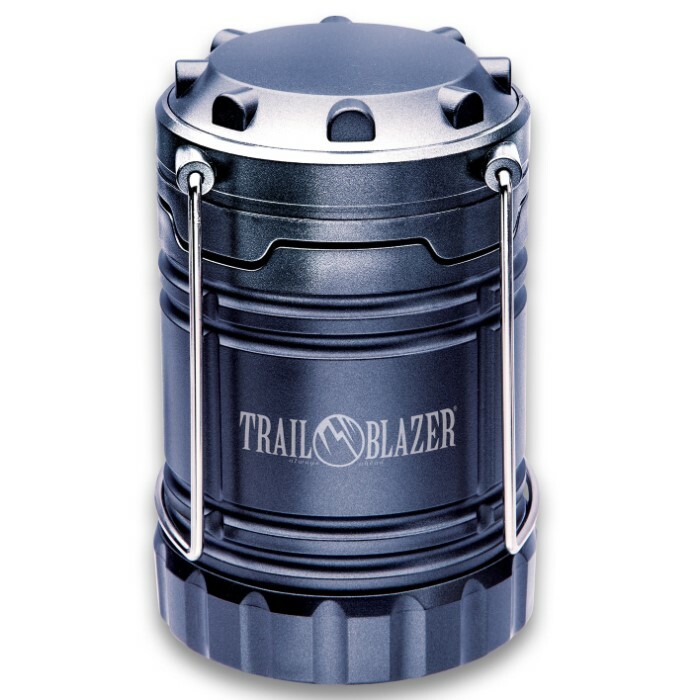 Trailblazer Pack-Away Camping Lantern | BUDK.com - Knives & Swords At The Lowest Prices! 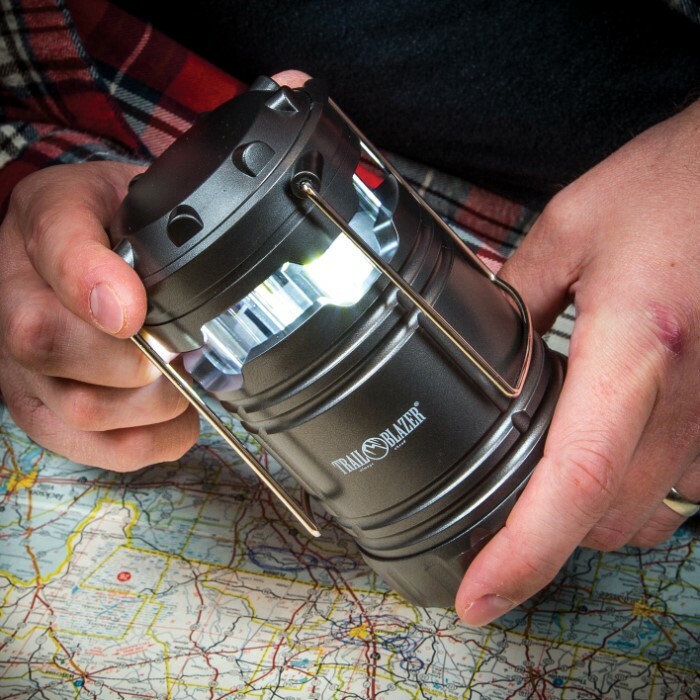 Collapsible, compact, ultraportable and remarkably bright, Trailblazer's Pack-Away Camping Lantern is a vital component of any well-planned emergency/power outage cache, bug-out bag or outdoor gear, and is also ideal for everyday lighting around the home or office! It boasts 360 degrees of intense 250-lumen light - more than ample to flood a room, illuminate a path or even signal others miles away in the dark! 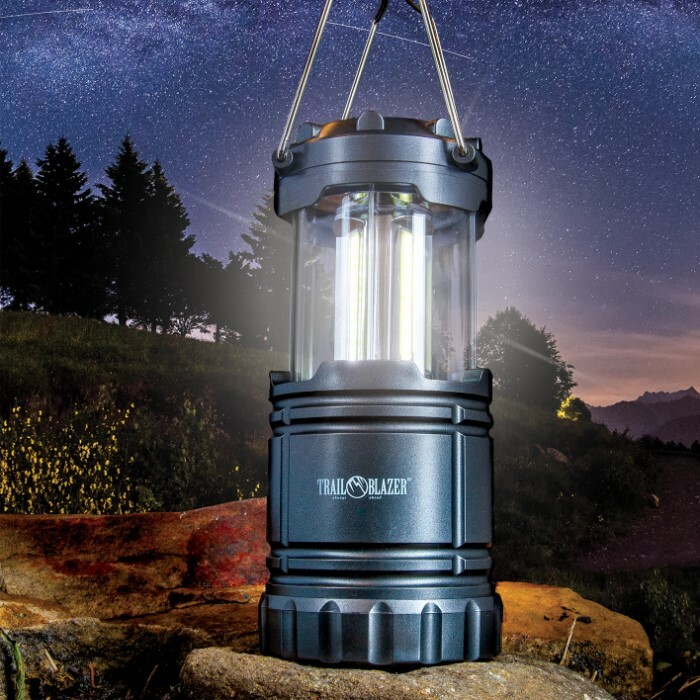 Built tough to withstand harsh environmental conditions and the demanding rigors of extreme outdoor activities, the Trailblazer Pack-Away Camping Lantern is impeccably reliable in even the most challenging terrains and locales. 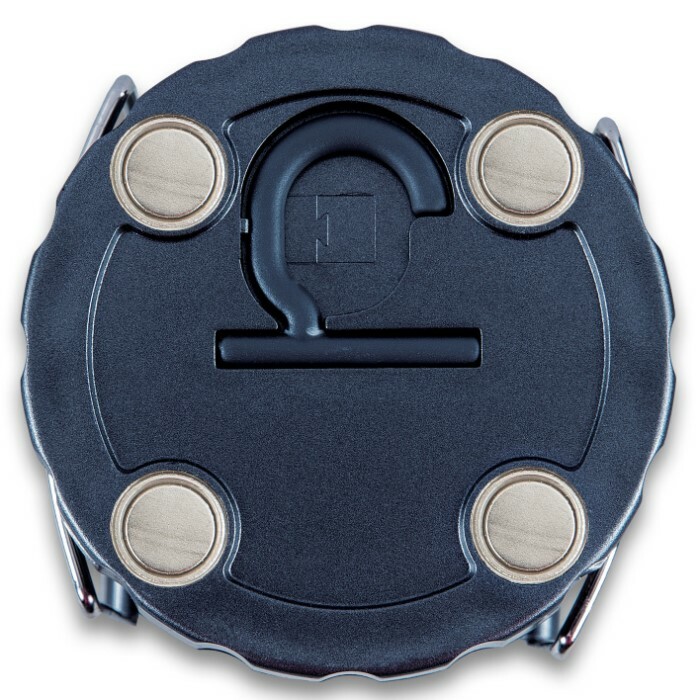 It's IPX4 rated for water resistance and features extraordinarily durable ABS housing. And unlike cumbersome, unwieldy kerosene and/or propane-fueled lanterns, this pack-away illumination workhorse is exceptionally lightweight and easy to transport - especially crucial in the field, where space is limited and precious, and weight comes at a premium. 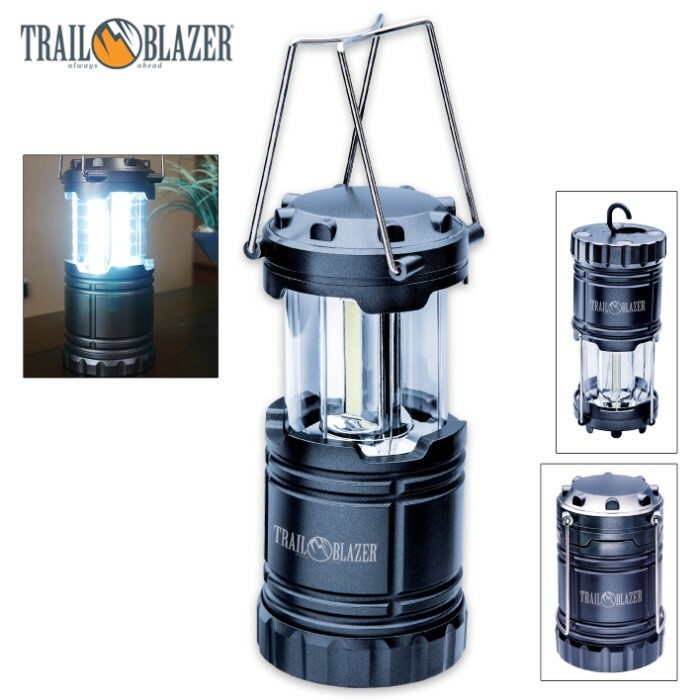 Weighing in at less than a pound and just 7 1/2" tall x 3 1/4" diameter when expanded, the Trailblazer Pack-Away Camping Lantern is twice as bright as many LED lanterns of twice the size and collapses to just 5" tall! Easy as it is to handle, this incredibly versatile camping lantern also includes numerous features that facilitate convenient hands-free lighting - two sturdy pivoting metal handles on top and strong magnets and a hook on the bottom. Remarkably efficient, the Trailblazer Pack-Away Camping Lantern runs for hours on only three AA batteries (not included). 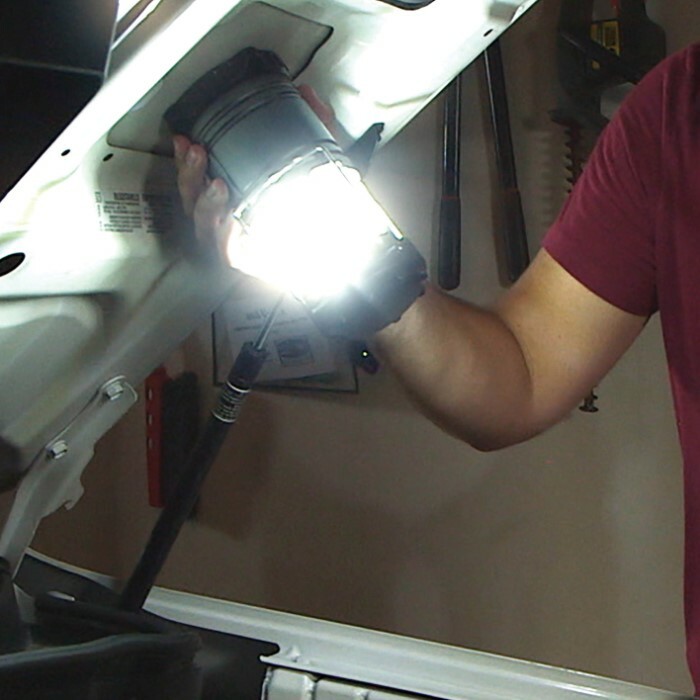 I got one of these and love it bright light .I tried mine out in a power outage lit up my living room in my mobile home nicely.Its a different brand and doesnt have a hook to hang it on a line or tree branch and no magnets but is the same otherwise.I highly recommend one of these small lanterns well worth the price. I didn't believe that this little runt would be any good but I was wrong. I turned it on last night and it lit up the whole room. I couldn't believe how bright it is and compact. I am definitely going to buy another one. You can't go wrong. Highly recommended. I bought one and was impressed enough to buy a second one. Well made tough exterior. It is a very bright light. I just received this light. After I put in the batteries and pulled it open my reaction was ... Damn that is bright! For the price it is a decent light. It is very lightweight but it looks like it will take some knocking around. The magnets are OK. I wish they were a little stronger but it stayed put on my refrigerator. This would be a great light when you lose power.